There is nothing more fun than enjoying the great outdoors with our pets. According to Health, nature has the power to restore and revitalize us. Our heart rates decrease when we are out in the woods, and we are able to compartmentalize and better understand everyday stressors. It makes sense that our pets would benefit from a dose of the great outdoors as well. While dogs have long been the companions of choice for people who want to explore the woods, cats are starting to venture out also! We might think of cats as indoor creatures who love lounging in the sun, but we should remember that their close cousins are fierce predators like lions, panthers, and tigers. It makes sense that our domestic feline friends would have a serious sense of adventure and wanderlust too! Before you hit the trail with your cat, there are a few things that you need to keep in mind to make sure that both you and your feline friend have a great adventure. Do People Really Hike With Their Cats? “Adventure Cats”, or housecats that have ventured out into the woods and tapped into their wild sides, are becoming more and more common. There are plenty of examples of adventurous felines that scamper through the brush with their owners. It is becoming common to see cats on certain hiking trails. Just like their canine counterparts, cats adapt well to call of the wild. If you want your cat to join the prestigious ranks of Adventure Cats, read on! 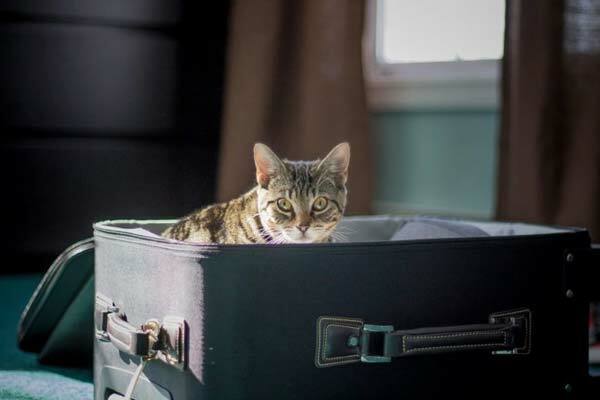 We will give you all of the tips and tricks that you need to take your housecat from a sedentary apartment dweller to a full-fledged explorer! Hiking with your cat is a little different than hiking by yourself. You need to take care of yourself and a small animal who is not accustomed to being outdoors with the elements, terrain, and predators. It might sound like a lot of pressure, but if you prepare properly, you can make sure that your experience is completely positive. This tip might seem like a “no brainer”, but you would be surprised how many people fail to consider this important step! Many trails allow pets, but some don’t so you need to check well ahead of time before packing up your cat and hitting the road. In addition to checking to make sure that the trail allows cats, you should also keep some additional crucial items in mind. We’ll review some of these in more depth later on in this piece. Think about the difficulty of the trail. Your cat will get tired before you will, so make sure that the trail is appropriate for his or her athletic ability. Think about the time of year that you’ll be visiting. Your feline friend might have some problems with mud, water or large exposed sunny areas of terrain. Consider whether or not there are any natural predators on the trail. Your cat is vulnerable to many predators including birds of prey and coyotes. Remember, just because a trail allows dogs does not mean that it also allows cats. Make sure that the trail is both dog and cat-friendly before venturing out on the trail. According to Healthy Pets, most cats can be trained to walk with a harness and leash but it takes a lot of patience to get them into the harness and out the door to start exploring. You’ll need to get a well-fitting harness and comfortable leash for your cat, as well as some training treats to teach him or her how to function on a leash. Remember that cats do not like their harnesses at first. Be gentle with your feline friend and understand that they might be apprehensive at first. Use a lot of training treats to reinforce good behavior. Never try to train a cat with harsh punishment or fear. Take baby steps and go on your cat’s timeline. Let he or she dictate when it is time to head outside and explore. Let your cat wear the harness around the house to get comfortable with it in his or her environment. When it’s time to go outside, take your cat out in the yard or around the neighborhood. Adventure Cats aren’t made overnight! Be patient and love the journey! It’s also important to understand and respect signs of distress and discomfort in your cat. If he or she is uncomfortable, dial back the training and go a little bit slower. In order to train your cat for a safe, fun and enjoyable expedition into the woods you need to be prepared to go at his or her pace. Overall, you need buy-in from your cat in order to make the journey work! According to Preventative Vet, it is relatively easy to put together a first aid kit for your feline friend. Make sure that you take this kit with you when you hit the trail, just in case your cat gets an injury on the way. Of course, you’ll want to have a kit for yourself also! Remember that an injured animal is an unpredictable animal. Even cats that are generally friendly can become antagonistic when they are distressed or in danger. Administer the care that you can and get your cat to the emergency veterinarian as soon as possible. It’s also a good idea to bring a blanket with you so that you can safely carry your cat if you need to. Do your best to prevent any accidents by choosing trails that are appropriate for your cat’s fitness level. You can also minimize the possibility of a severe emergency by making sure that you have the ability to reach out to contacts back home during your hike. For this reason, you might want to avoid very remote areas with when hiking with your cat. 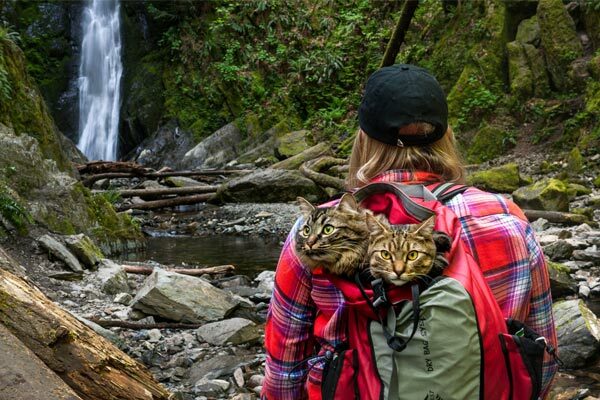 Human hikers have encountered all sorts of problems by veering off the trail, and you can multiply these risks when traveling with a cat. There are all sorts of hidden dangers that become evident when you go off the trail. What Dangers Could You Encounter Off The Trail? There could be poisonous plants that could severely injure you or your cat. You could run into some really rough terrain that could cause a catastrophic fall for you or your cat. You might unwillingly wander into the territory of a predator and find yourself and your cat in a life-threatening situation. There is the possibility that you could get totally lost in the woods. Whenever you hit the trails you need to keep the risks in mind. You are entering the unknown, possibly the lair of predators or areas of uncertain terrain. You are also bringing along a vulnerable animal with you. Nature is untamed and wild and you could easily run into plenty of predators. 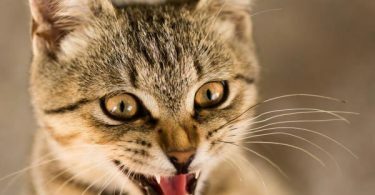 Owls, coyotes, and foxes are obvious predators, but your cat is also at risk of being bit by an insect or even chased by a hostile domesticated dog. Plenty of people let their dogs run off leash on hiking trails, despite strict leash laws. Owners are not always able to control their pets. In addition to predators, you also run the risk of coming across some hostile terrain or even hiking too long in the sun and having your pet get a little dehydrated. You must always hope for the best but be prepared for the worst when hiking with your cat. It’s not necessary to be fearful of everything that you encounter, but you really should keep the risks in mind in order to ensure that you are not caught by surprise. Think about what you would do in a number of different worst case scenarios. It’s no surprise that cats, like people, do better when they are taught skills from a younger age. The sooner you can acclimate your cat to appreciating and loving the thrill of the great outdoors, the better off he or she will be. Kittens often are easier to coax into harnesses because they are less set in their ways. They might also be less fearful and more likely to want to explore. When starting off your kitten on his or her path to be an adventure cat, it’s important to remember that younger animals might be more vulnerable because they’re naturally curious. You might have to intervene on your cat’s behalf. When you and your cat are on the trail your cat will look to you to be a guide and protector. You will be responsible for not only your safety but the safety and security of your feline friend. You need to be on the look-out for signs of dehydration and exhaustion as well as any symptoms of pain. Your cat can easily get into trouble if you aren’t paying attention to his or her welfare. If your cat seems distressed or hurt, you’ll need to administer some on-the-spot first aid and get them to help right away. We briefly touched on this earlier, but it bears repeating. Your cat will not be prepared to hike the Appalachian Trail the second that she or he gets the harness on. You will need to move slowly to make sure that your cat is not only comfortable with the trail but able to handle the physical toll of hiking. When you’re grooming your Adventure Cat is pays to start small. Take your feline friend on some test trails and get them used to the harness and the stimulation of the great outdoors. You’ll both be much more comfortable if you approach things this way. What Do I Need To Bring On A Hike With My Cat? When you go for a hike with your cat you need to not only pack gear for yourself, but also for him or her. There are special considerations to take into account and by being prepared you will ensure that both you and your feline friend have a successful and fun hike. If you only follow one rule, make this it. You need to always bring plenty of water for both you and your feline friend. Bring more water than you think you’ll need, just in case something happens and you get lost. Under no circumstances allow your cat to drink out of rivers or streams. Many backwoods water sources are teeming will all sorts of harmful bacteria that could cause major health problems for your cat. Err on the safe side and bring tons of water with you! More specifically, load up on the proper type of snacks. Empty calories will not serve you well on your hike, so make sure that you have protein heavy picks, like energy bars, in your daypack. When it comes to your cat, you’ll want to bring food that fills up his or her stomach and is light and portable. Training treats and other small items will probably be ok, but consult your vet to find out the best food and treats for your specific cat. Make sure that your cat has a harness and leash, and is accustomed to walking in both of them. We’ve already covered the importance of getting your cat acclimated to his or her leash and harness so we won’t review it too much here. It’s important that your cat has a well-fitting harness and a good leash that he or she is comfortable with before you set out on your hike. Just like you need to protect yourself against bites, so does your cat. Cats are also susceptible to ticks, which can burrow in their skin and cause problems. Protect yourself and your cat by using deep woods repellent whenever you are exploring the great outdoors. Not all bug repellant is safe for cats, so make sure that you find one that is good for both cats and people. Your cat needs to be easily identifiable in case he or she escapes or gets lost. Do not take your cat on a hike in the woods without making sure that he or she has proper identification. A cat ID with your phone number on it is a must for any pet that is venturing outdoors. If your cat is microchipped that’s even better. Do not run the risk of losing your cat when you are exploring the great outdoors. There are cat-safe sunscreens out there and you should apply them to your feline friend before you head out into the woods. Cats need to be protected from the sun just like people do, so make sure that your cat is covered in sunscreen, especially if he or she is a short-haired or light colored cat. When you’re taking your cat for a hike in the woods it’s important to think about the more unpleasant aspects that could occur, and that means bringing poop bags with you. At home, your cat probably goes to the bathroom in a litter box, but when he or she is outside, they will be tempted to go in a patch of brush. Cat leavings can be toxic and are an unwanted thing for other hikers to come across, so make sure that you clean up your tracks by removing your cat’s feces. We covered the importance of First Aid kits earlier in the article. Make sure that you bring a feline First Aid kit with you in case your cat hurts itself or gets a bite, sting or worse. When it comes to the safety of your pet, it is better to be over-prepared than underprepared. What Happens If My Cat Encounters A Predator? One of the worst-case scenarios when hiking with your cat is the possibility that he or she will run into a predator. While rare, it does happen, and you should be prepared to help out if your cat encounters another animal that would do it harm. One of the best ways to ensure that your cat will not run the risk of encountering a predator is to stick to the trail. Many predators avoid the trail because they are afraid of human interaction. You can minimize your chances of having to deal with a threat by simply sticking to the marked road. If you do run into a predator you need to keep your safety in mind as well as that of your pet. It might be tempting to get between your cat and the predator, but that is often one of the worst things that you can do. There are two different predators that you’re likely to encounter on most trails, coyotes, and birds of prey. Other predators, like bears and big cats, are much less common. What Do I Do If A Coyote Threatens My Cat? Coyotes are natural predators to small cats. Fortunately, they are often afraid of people. If you see a coyote on your hike it is important to establish dominance. Make eye contact and wave your arms around. Yell at the animal to intimidate it. If you have a flashlight shine it at the coyote. Essentially, you want to appear as big and bad as possible so that the coyote decides that your cat isn’t worth the trouble. Coyotes are highly intelligent creatures who understand the consequences of an interaction with a human and will not engage if they deem the threat to be too great. Even if you’re scared, it is important to put on a brave face and look tough. What Do I Do If A Bird Of Prey Threatens My Cat? It is unlikely that a hawk or owl will threaten your cat if you’re around since they are generally easy for a human to scare off. These birds of prey are a larger threat if your pet is left unattended. This is why it’s so important to keep an eye on your cat in the woods at all time. Birds of prey can nest in trees and swoop down on unsuspecting animals. If you do see a bird of prey threatening your cat, use the same techniques as you would for scaring off a coyote. Wave your hands, yell and shine a flashlight. If the bird gets very close, throw a rock or a pinecone near it. You don’t want to hit the bird if you don’t have to, but stone can be an effective deterrent for most animals. What Do I Do If I See Other Predators? Depending on where you are hiking you might encounter some additional predators. It is important to know how to handle them. What do I do if I see an alligator? Pick up your cat and run in a straight line away from the alligator. Alligators do not have a lot of endurance and will not chase for long. What do I do if I see a black bear? Make yourself as big as possible and speak in a loud, firm voice. If it approaches you and your cat, do not run. Instead back away slowly. Bears can easily outrun humans. What do I do if I see a grey wolf? Wolves are very dangerous because you’ll generally be dealing with a pack of them. Don’t make eye contact with the wolf and try to back away slowly. If the wolf attacks hit it in the snout and eyes. Beware that packs of wolves will surround you in a circle, so try not to get cornered. What do I do if I see a rattlesnake? If you see a rattlesnake move away slowly and don’t disturb it. If you or your cat bites you need to seek medical attention right away. When hiking with your cat it is important to understand when he or she is distressed. There are several types of distress that your cat will encounter throughout its lifetime, but only two are really prevalent on a long hike. We’ll review them below. According to PetMD, Dehydration is a real problem for both hiking humans and cats. You need to make sure that your cat is full of fluids to avoid a medical emergency. The most common sign of dehydration in cats, and in people, is skin tenting. Healthy hydrated skin goes back into place when you tug on it. Dehydrated skin will tent, or remain upright. Take your cat by the shoulders and tug on his or her skin. If it doesn’t snap back, the cat needs immediate medical attention. The best way to deal with dehydration is to stop it before it starts. Keep your cat hydrated when you’re hiking. Whenever you are in an unfamiliar environment, like the woods, your cat can encounter all sorts of obstacles that will cause him or her to stretch their muscles and possible get a strain or even a break. According to Preventivevet, If you see your cat take a tumble, make sure that you check him or her out for signs of stress and pain. One of the best ways to determine if your cat is experiencing pain is to look at how they are moving. Cats that are in pain will move differently and favor certain parts of their bodies. It’s important to get your cat to the vet as soon as possible if you suspect that they are in pain. Now that you know what you need to do to bring your cat out on the hiking trail, let’s talk about some pet-friendly parks where you and your feline friend can start exploring! This gorgeous national park is located right outside of Washington, D.C. and is famous for its hundreds of miles of hiking trails and astounding views! There are trails for just about every ability level and it would take all of your cat’s nine lives to explore them all. You must keep your cat on a tight leash if you visit Arches National Park, but the accessibility and ease of these trails make it a great option for beginners. Also, the views simply can’t be beaten! 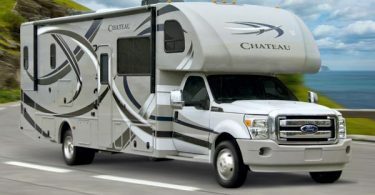 There is a great campground right on site, so you and your cat can get in some star-gazing after the hiking is done. If you are in Ohio you have to check out Cuyahoga Valley National Park. Full of gentle hills and beautiful vistas where you and your cat can explore to your heart’s content, this picture-perfect park is 20,000 acres of pure bliss. There are plenty of dogs that flock to this national park, so make sure that you’re aware of that before you head on out. Although pets aren’t welcome in some areas of the park, cats will love to explore the Crystal Mountain Trail system which is full of flora and fauna that you can’t see outside of the scenic Pacific Northwest. This park is a great place to explore, but it is a little bit of a varsity level trek so make sure that your cat is well adapted to difficult terrain before heading out. The Appalachian Trail is the granddaddy of amazing treks and it is one that you and your cat won’t soon forget. Stretching across states, this trail is an amazing place to explore for you and your feline friend. If you do take your cat on this epic adventure remember that many dogs frequent the trail and there are no leash laws for 60 percent of the trail. You could also encounter wildlife on the trail, including cougars and bears. Located in Maine, Acadia National Park is a nature lover’s paradise. It is one of the oldest national parks in the United States and a full 150 miles of trails for you and your cat to explore. Go during the fall and experience the glory of the seasonal change! When it comes to getting your cat out in the great outdoors, simply follow the rules we’ve outlined in this article and you are guaranteed to have a spectacular time. Before taking your cat outside remember that your feline friend should have all of his or her vaccinations. It’s important to ensure that he or she is up to date on rabies because this disease is absolutely fatal to cats. With a little preparation work and some patience, your cat can be an Adventure Cat in no time. Once he or she gets a taste of the woods, they won’t want to go back!